Given they have Pamela Anderson on their team, the issue almost seems laughable. But it’s not really that funny when you consider the 10 years of hard work and diligence by the environmental community around Malibu, California that is now teetering on the edge of collapse as a group of opponents attempt to stage a last minute attack. The environmental side has failed to engage in any sort of mass communication until now — in large part because they assumed the community was with them. So I convinced them to support me in making a short video that addresses the 5 major distortions of the facts that have been occurring. 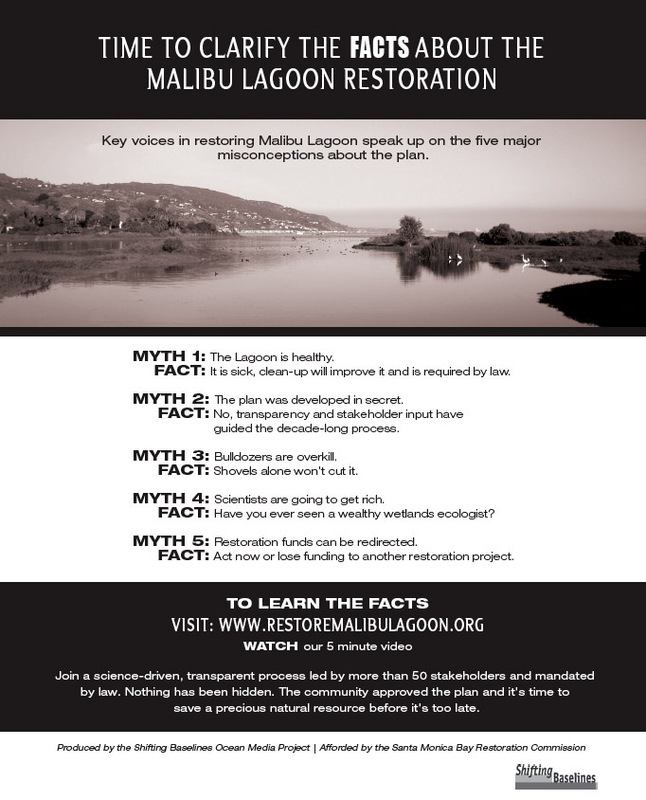 The 5 minute video I directed to help convey the basic facts about the Malibu Lagoon Restoration project which has been increasingly distorted by local interests. Just last week I pitched to the main groups to find the bucks for me to shoot a quick video, create a website, and take out a full page ad in the local newspaper announcing it. This morning we’ve opened up the website with a simple and clear statement of “the facts” in hopes of fending off the disinformation campaign. The project pretty much speaks for itself. The community spent 10 years carefully, thoughtfully, diligently, and conscientiously planning the restoration of the Lagoon. Over 50 stakeholders had signed off on it. Now they are having to deal with a disinformation campaign that almost looks like it was designed by climate skeptics. .The full page ad we took out in the Malibu Surfside News announcing the website and video.